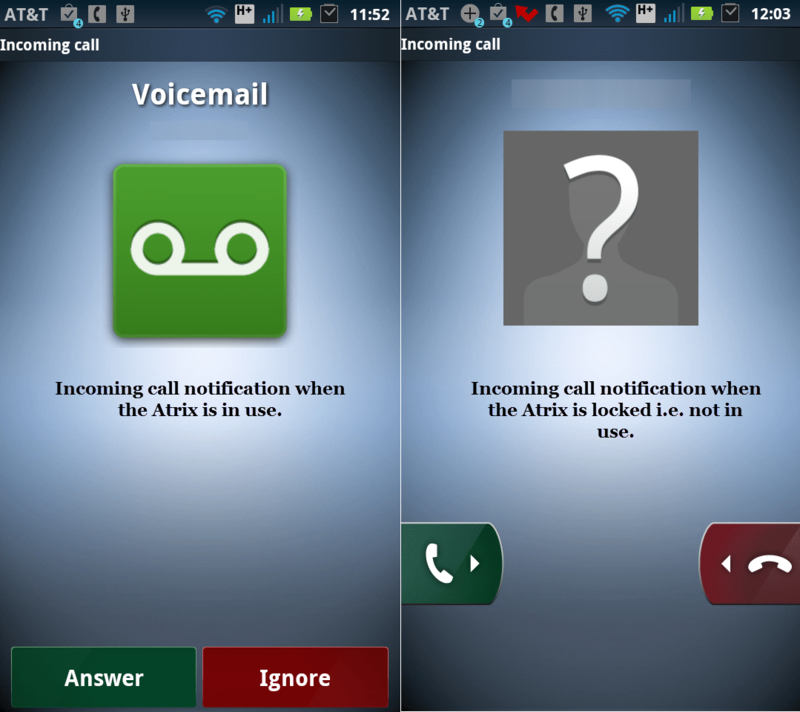 TL;DR – Android Gingerbread on the Atrix features a slew of new/updated features and this article goes over some of the more memorable changes to Gingerbread on the Atrix (Installation of apps from unknown sources is now enabled, etc). Visit my Min.us gallery of Atrix Gingerbread screenshots. 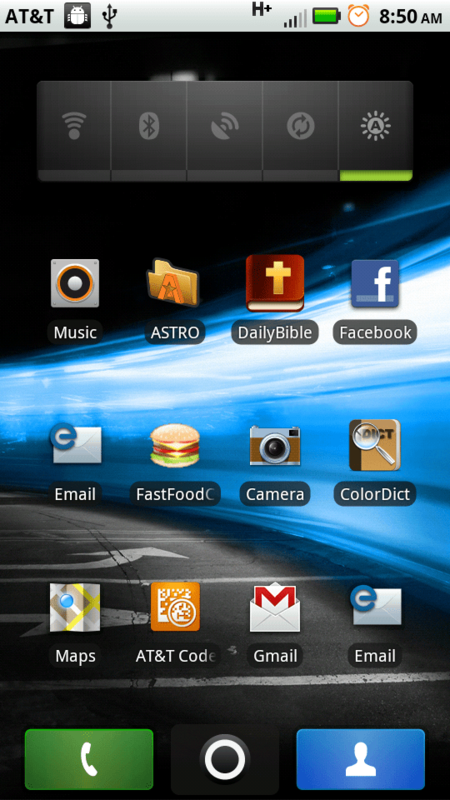 I updated my Motorola Atrix to Android 2.3 a.k.a. Gingerbread. You, too, can simply update your phone by going to your phone’s Settings” page, clicking on “About Phone” and tapping “System Updates”. 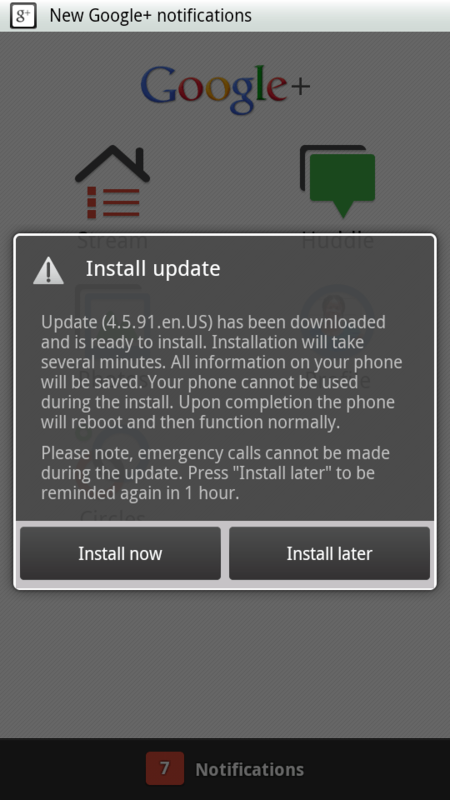 You will get a simple notification that an update is available for your phone and offered the chance to download it. 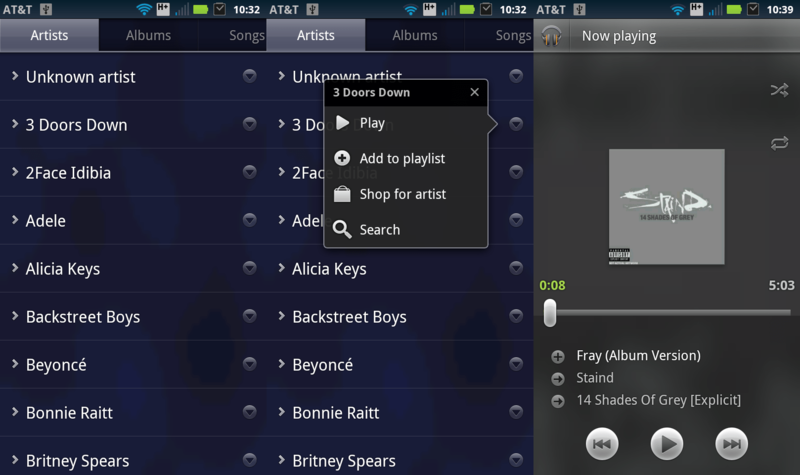 After downloading is complete, you can install it now or later. If you haven’t backed up your precious photos or phone contacts, please do so before proceeding with the update. 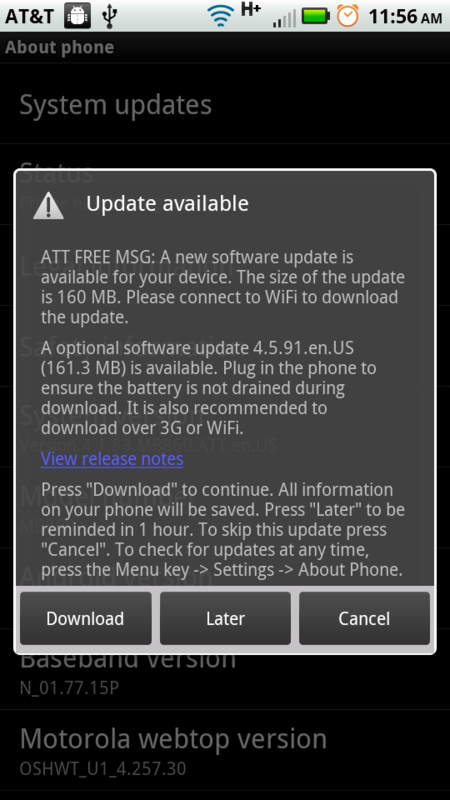 After a restart or two, you will have the latest update from Motorola (Blur_Version.4.1.83.MB860.ATT.en.US to Blur_Version.4.5.91.MB860.ATT.en.US). 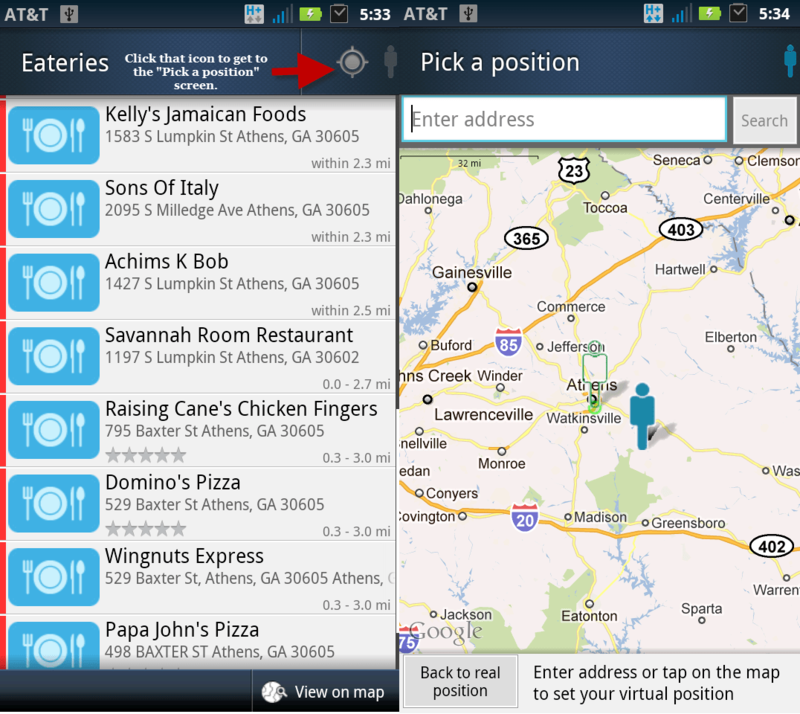 Read my earlier post about the earlier updates that have been pushed out for the Motorola Atrix. Productivity Tools: Enhancements to business ready security features so you can get more work done on-the-go which includes robust VPN, device and SD card encryption, device management via 3rd party console and remote wipe ability. 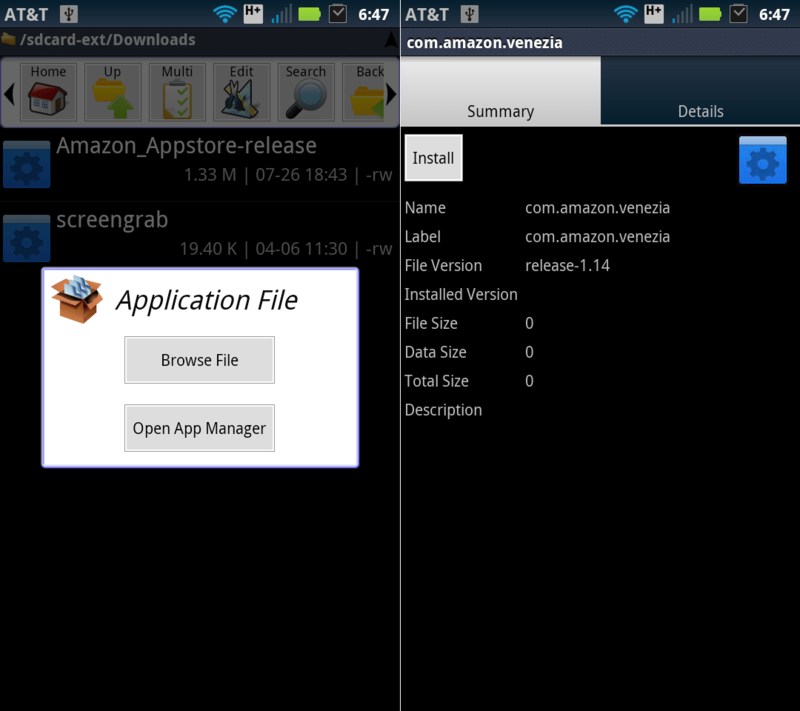 Adding Ability to install apps from unknown/3rd party sources e.g. 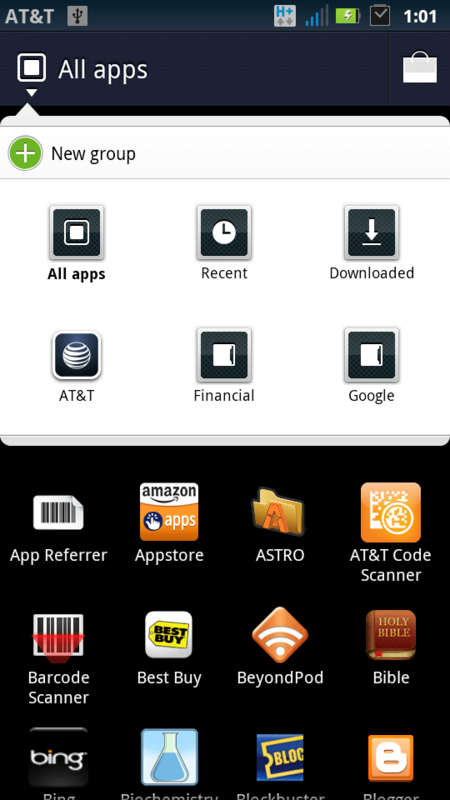 XDA apks, the Amazon store (and its apps, etc). Faster Webtop Browsing: Enhancement to webtop application includes Firefox 4.0 so you can browse faster than with earlier versions of Firefox. You can use the Webtop feature with optional accessories (Motorola HD Multimedia Dock, the Motorola Atrix Webtop Access Kit and the Atrix Laptop Dock). I may consider checking out the Atrix HD Multimedia dock or the Webtop access kit, but NOT the “laptop” dock priced at ~ $500. 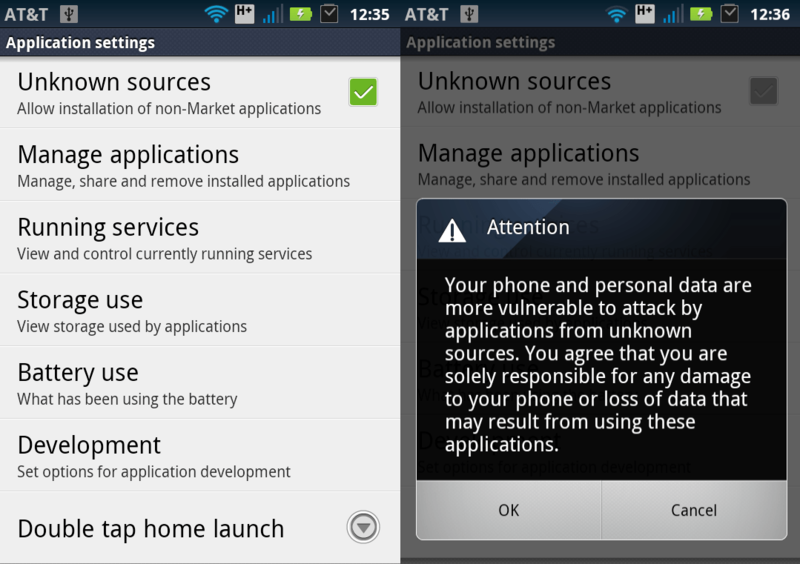 When I discovered that ATT/MOTOROLA had finally enabled the ability to install Android apps from unknown or 3rd party sources, I was over the moon with joy. 🙂 The first 3rd party app I installed was the Amazon AppStore. 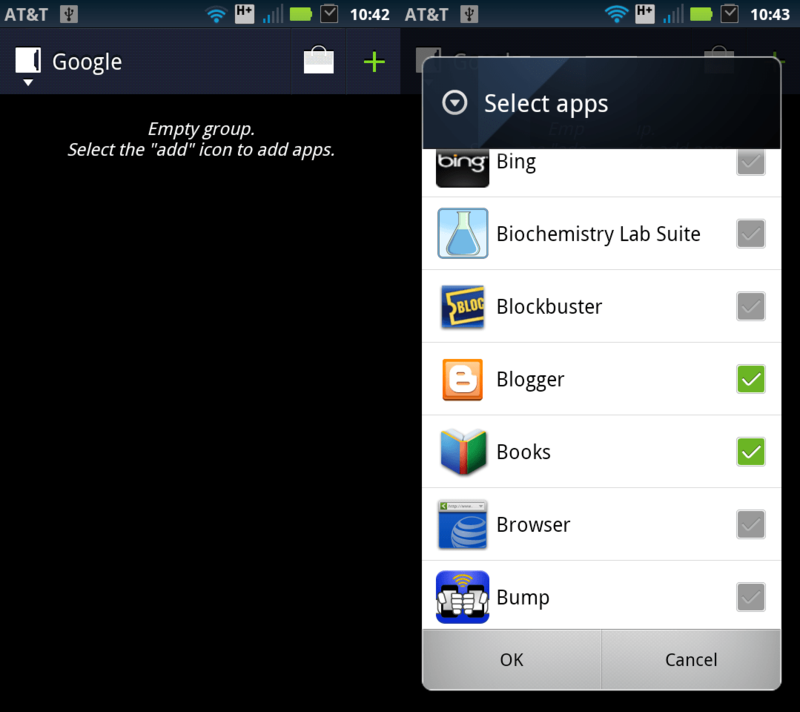 Did you know the Amazon appstore gives you 1 “free” paid app a day? I, too, initially thought that Amazon gave the developers of the promoted apps 20% to compensate for making their app free for the day, but I soon learned that this was not the case. After feeling sympathetic, then I realized that Amazon not paying the developers were no different that Apple choosing to spotlight apps during their commercials. Ultimately, choosing to be featured is your business’s call and part of that decision involves figuring out if the increased work(load) is worth the popularity & sign-ups received. 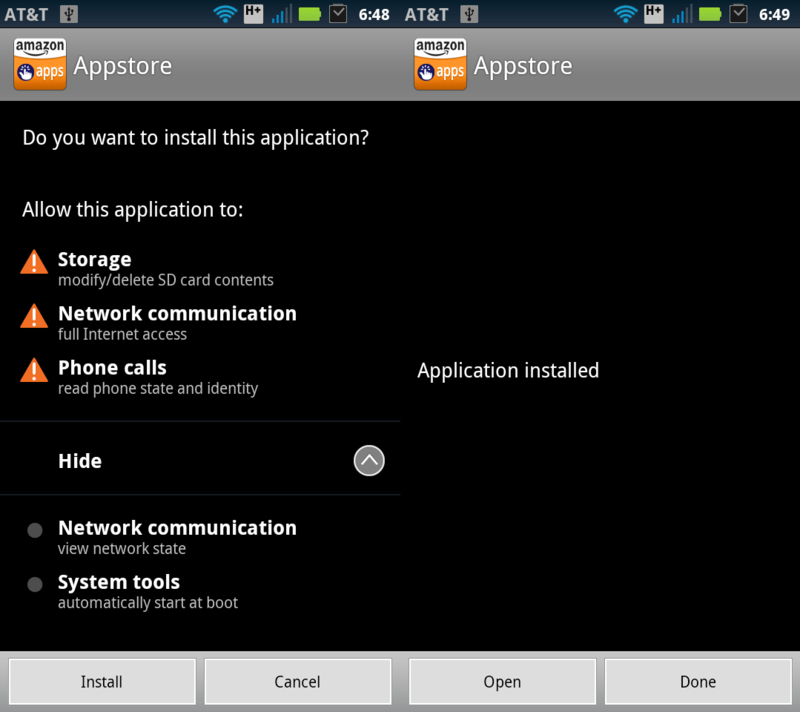 That said, being able to install 3rd party apps on the Atrix means that I can actually develop for my particular phone. 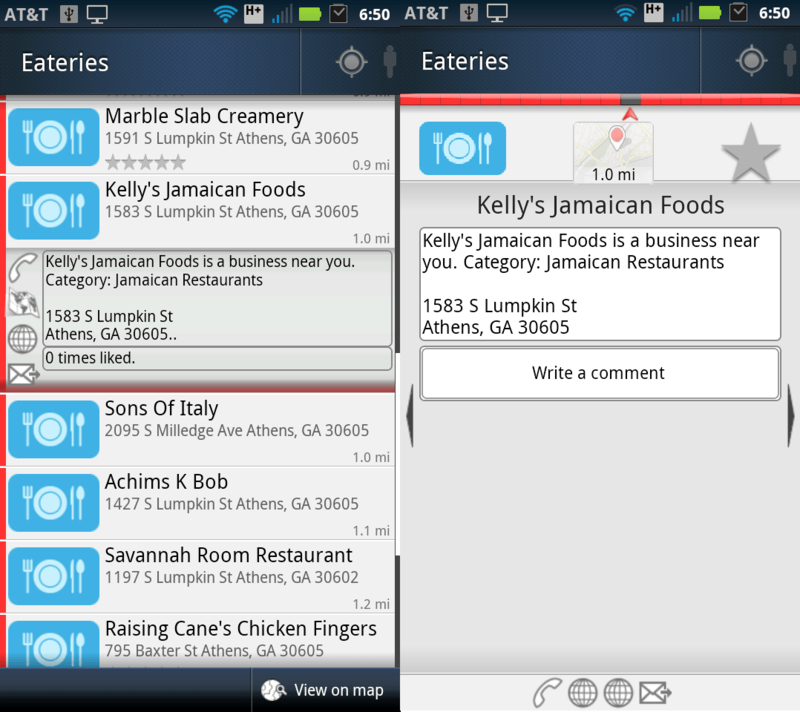 Case in point, I was able go through the Hello Android tutorial & run the compiled apk on my phone. 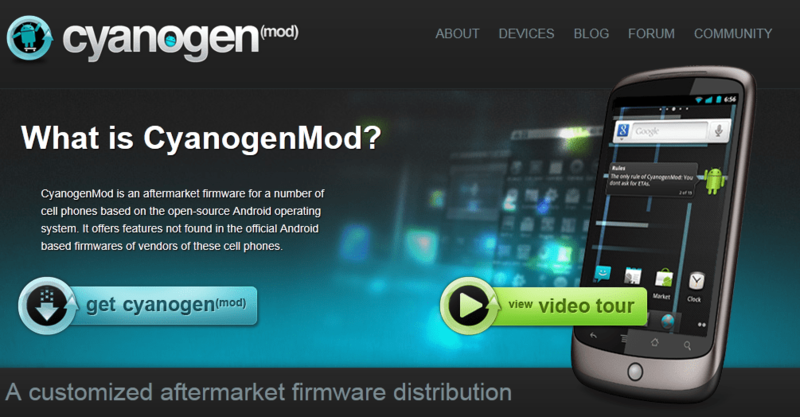 I found a screen-grabbing application on XDA’s forums: http://forum.xda-developers.com/showthread.php?t=1009451. 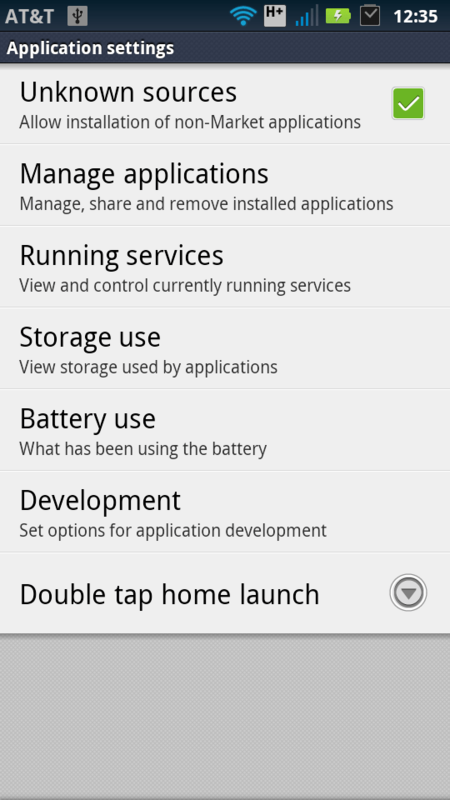 It works without needing root and the only permission required is SD card editing & storage. Boom. Please note: You will not be asked to okay the installation so please use this command with care. According to this Android Developer document, that adb install path/to/file only copies the file to a location on the phone, but I didn’t have to do anything else to get Screen grabber apk installed on my phone *shrug*. I can’t stress enough: don’t be rash and download random apks from the internet. 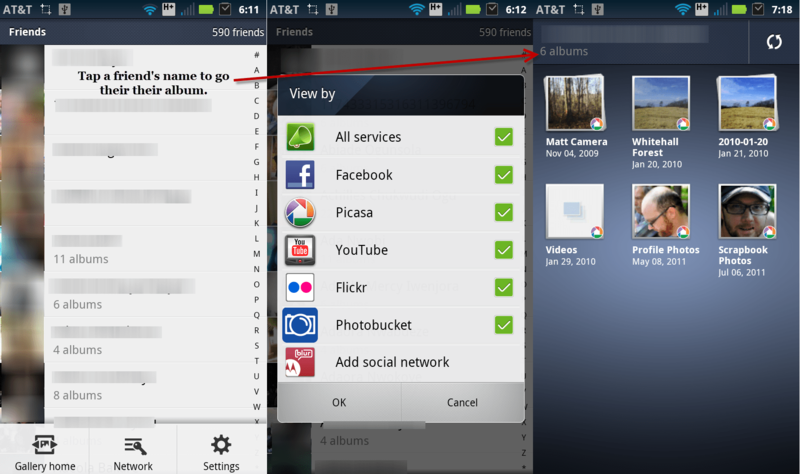 If you want to verify the permissions required by an app, simply tap the “Options” button and select “Manage Apps”. 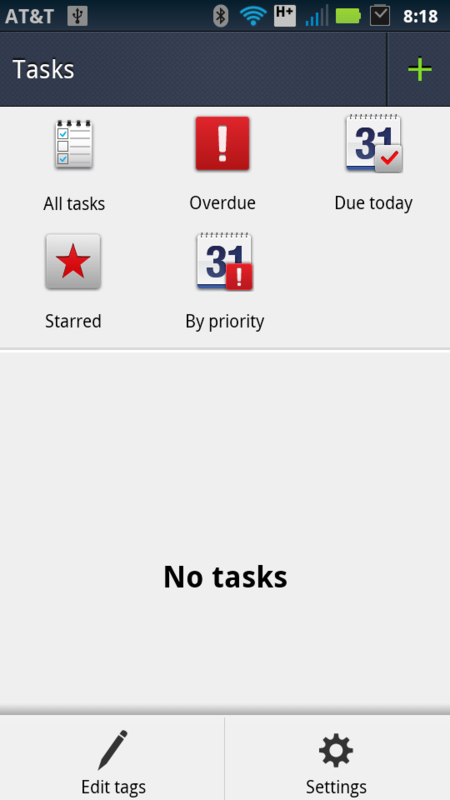 Apps are now sorted alphabetically so scroll to the Screen Grabber entry and tap on it; the permissions required are at the bottom of that page and displayed below. 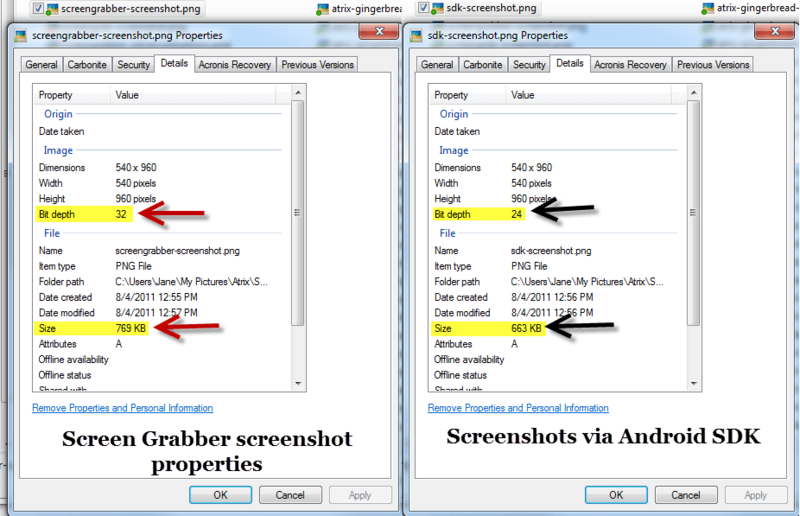 The main difference I have found between the screenshots from the Screen Grabber app and those from the Android SDK method are: Screen Grabber’s method is easier, snaps taken by Screen Grabber have a greater bit depth (32) & thus, a larger file size than those by the SDK method. Lastly, the Atrix now comes with the ability to encrypt personal data including data on the internal & external storage devices (good news for IT departments everywhere)! I turned on the personal data encryption on my Atrix and after rebooting, I got a message about my SIM card being removed or changed. 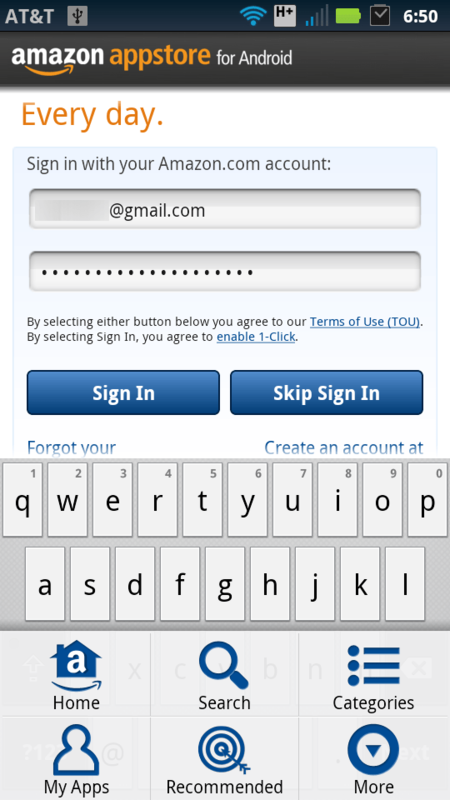 Thanks to the encryption/security feature, you will need to enter your MOTOBLUR account/password combo every time you reboot. A little inconvenience for peace of mind is not too much to ask especially if you need it i.e. 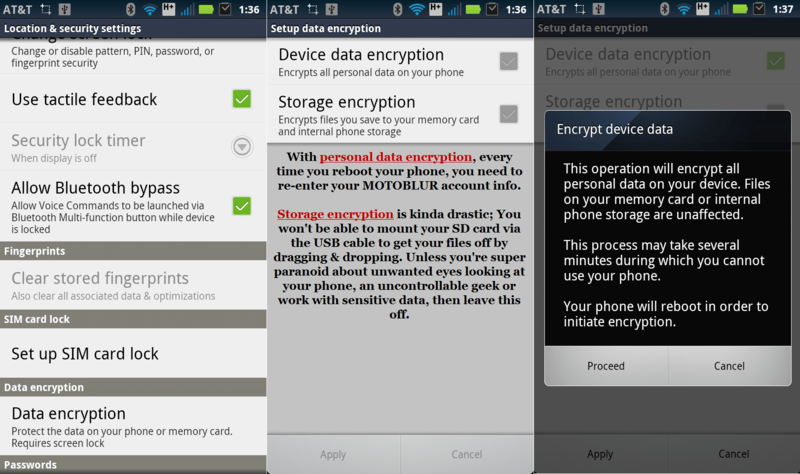 if sensitive data passes through your phone, a spy, etc. 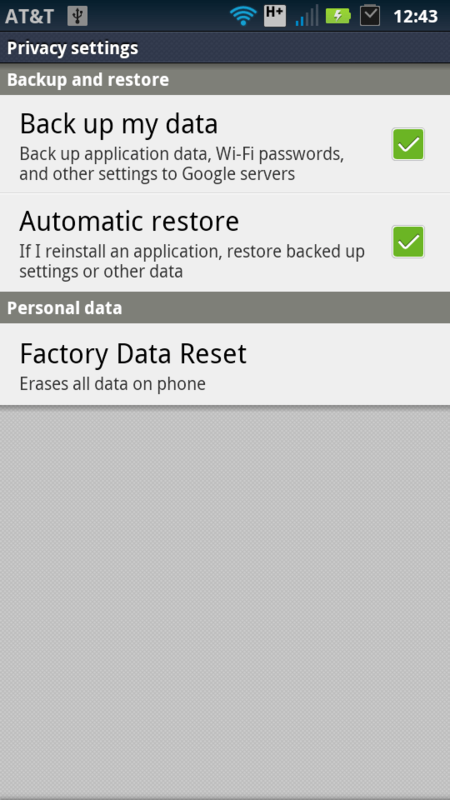 Also, please be aware that if you turn on SD card encryption, factory resetting your phone may result in total data loss. 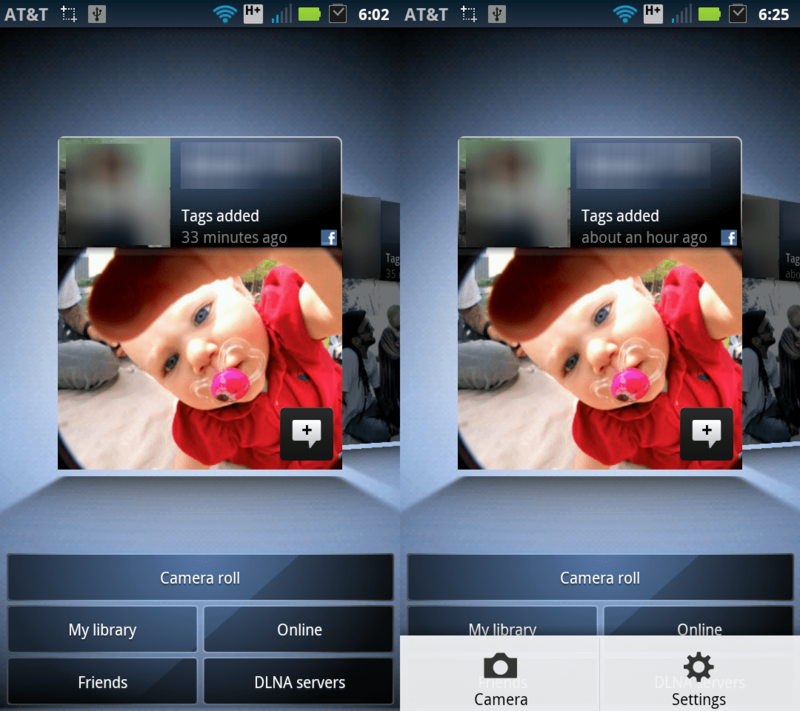 Camera roll: Pulls photos from the DCIM folder or where photos taken from the camera are specifically stored. 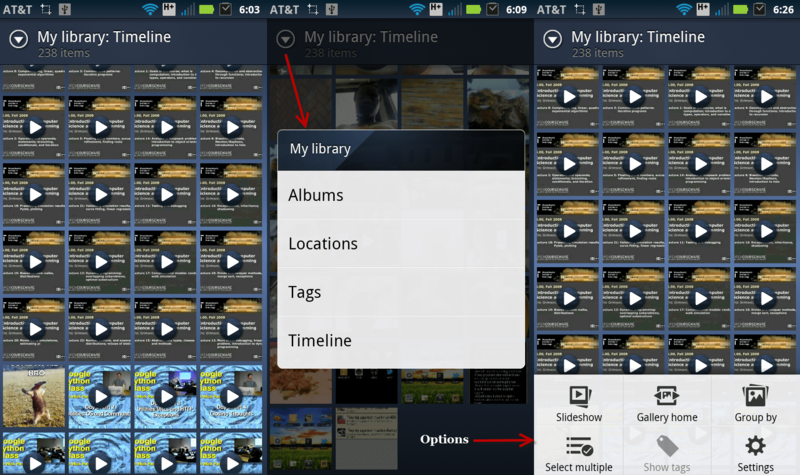 My library: Pulls photos stored on your internal and external storage systems on the Atrix. 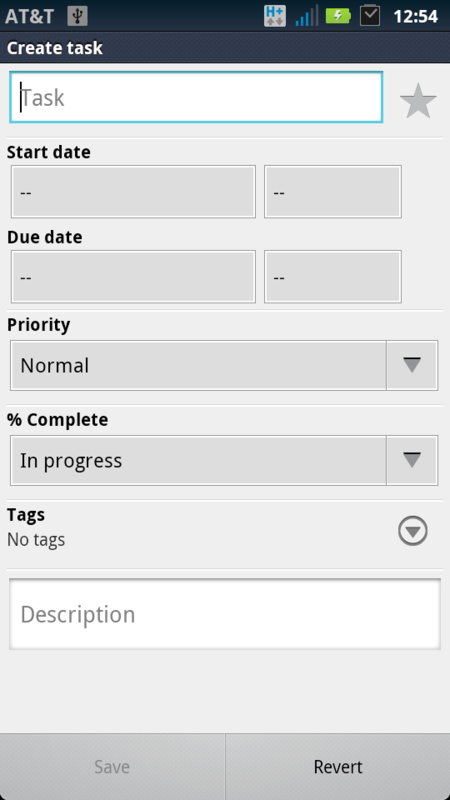 Online: This hooks into my Flickr, Facebook and Picasa Web Albums and it’s pretty nifty. 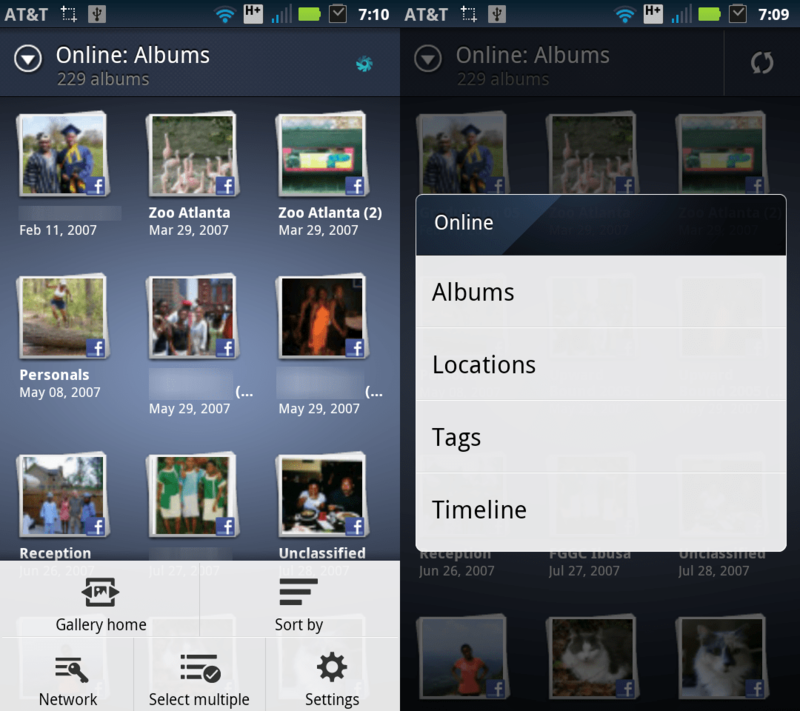 Friends: This pulls photos from your friend’s public Flickr, Facebook and Picasa albums. DLNA servers: Pulls photos from a media server you specify. 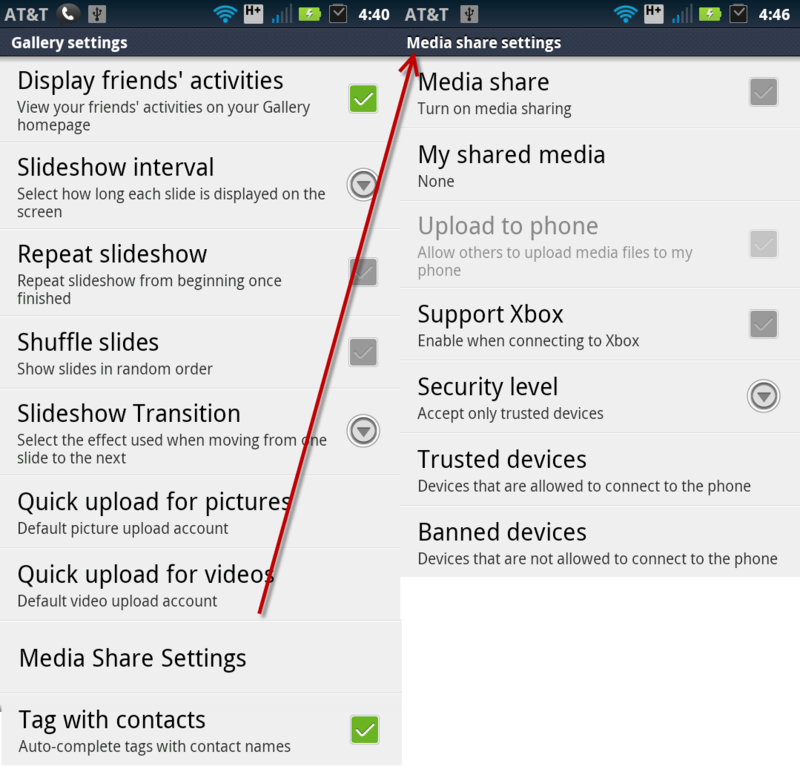 If you’re irritated by the default setting to show pictures from your Facebook friends, turn that setting off by going to the “Settings” page. 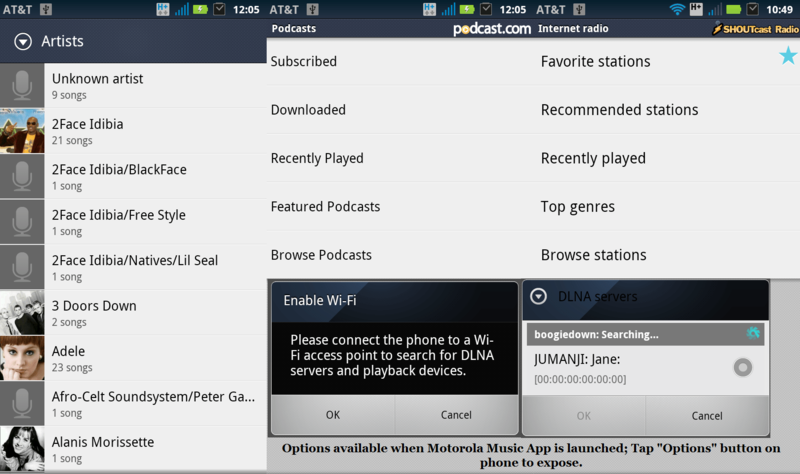 You can also setup DLNA servers via the settings. 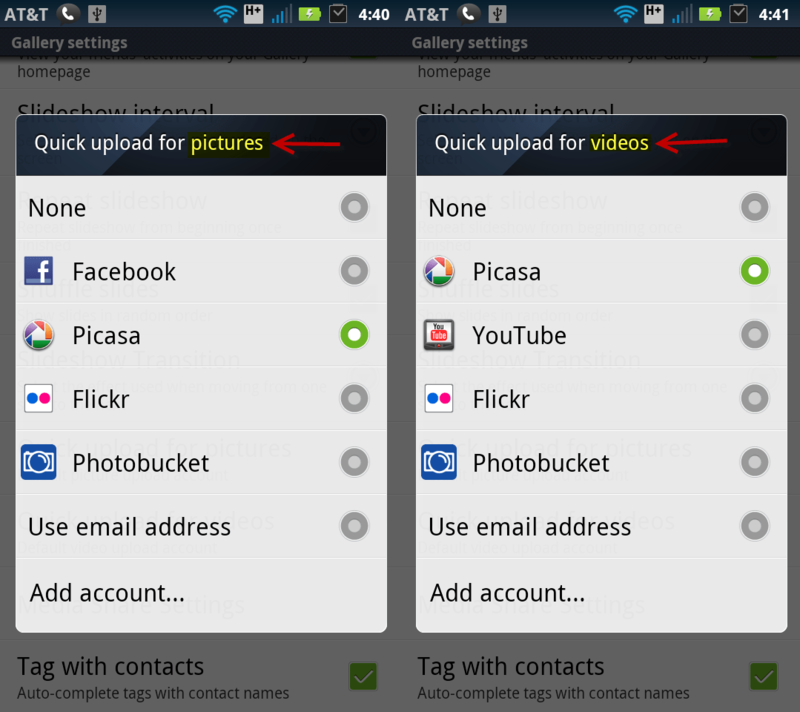 See the gallery below for the revamped options in the photo gallery app. 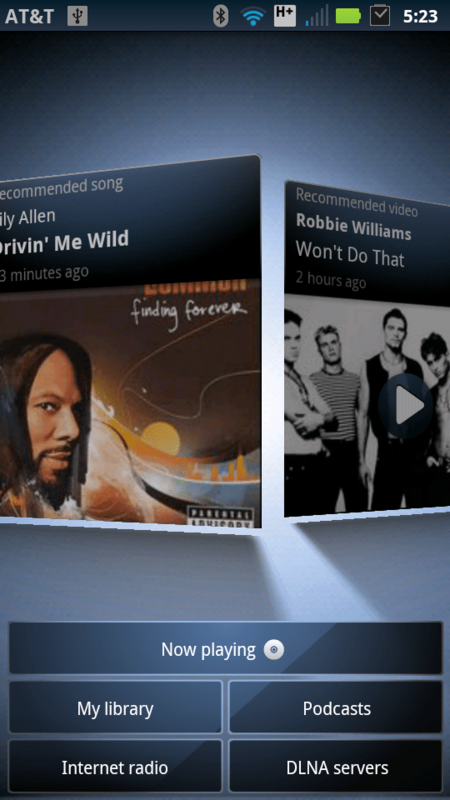 Motorola didn’t add anything too drastic to the stock Android Gingerbread music app. 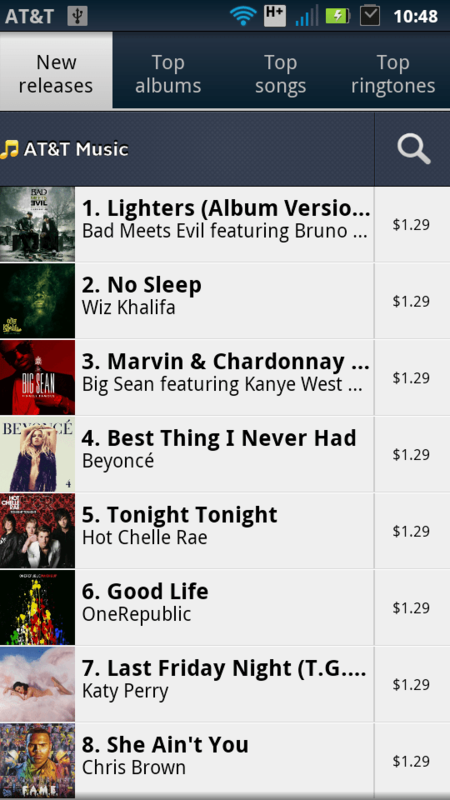 One of the things I noticed was a “Music Store” app which is from AT&T. 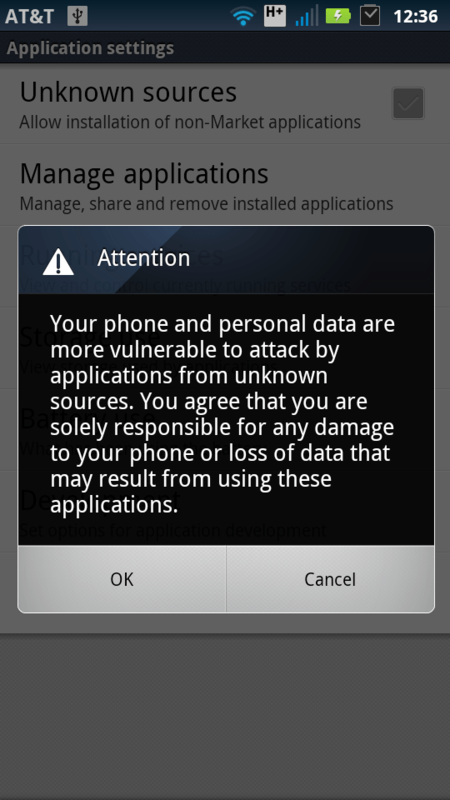 I haven’t bothered to uninstall it; besides, I already have my Amazon MP3 app installed. 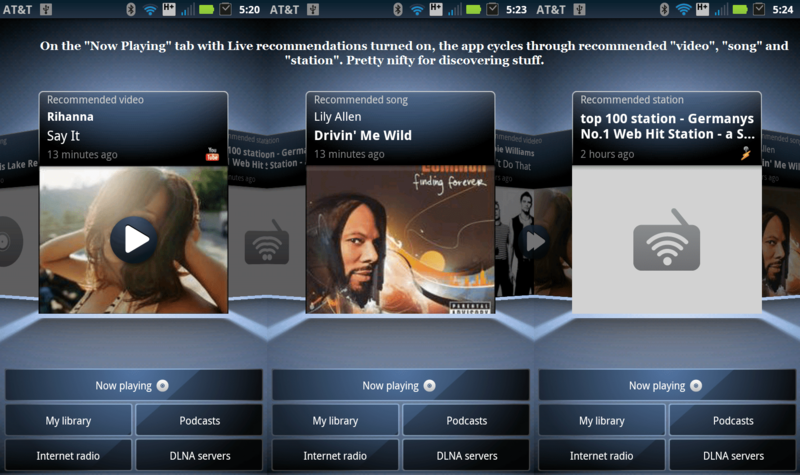 On the first run of the Music app on the Atrix, you will be asked if you want to get “Live Music” recommendations which is the main change to the bundled Music app. 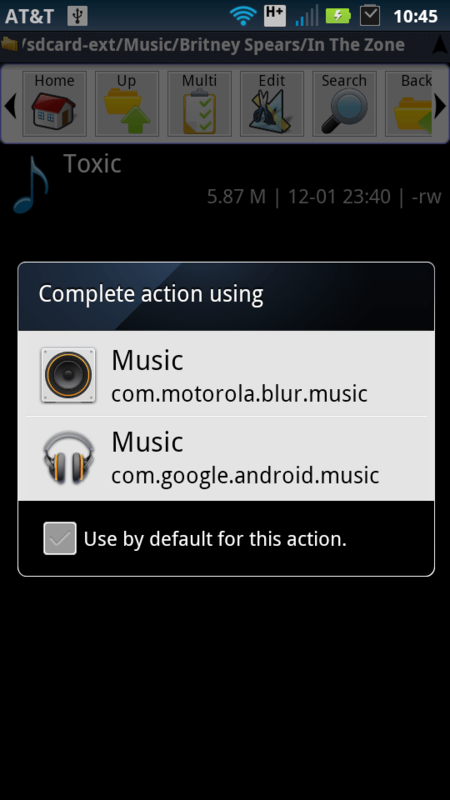 Once you have gone through the prompts on the default Music app, little has been done to differentiate the MOTOBLUR-skinned music app from Android 2.2. 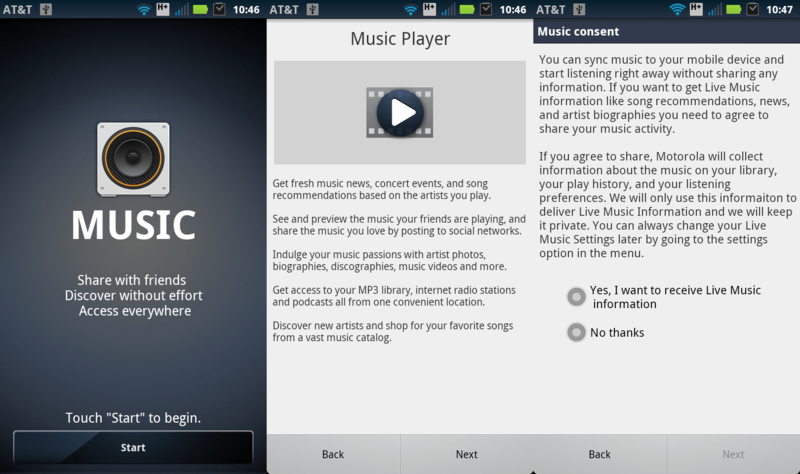 The Google Music app is another effort from Google to learn more about you and your music listening habits. Because I had Google’s Music (beta) app installed when I upgraded to the Gingerbread release, I saw 2 music apps in my App Tray. If you haven’t selected a default music player and you tap a (supported – I specify this because WMA files are apparently not supported) music file, you get to pick which player you want to play the file with. 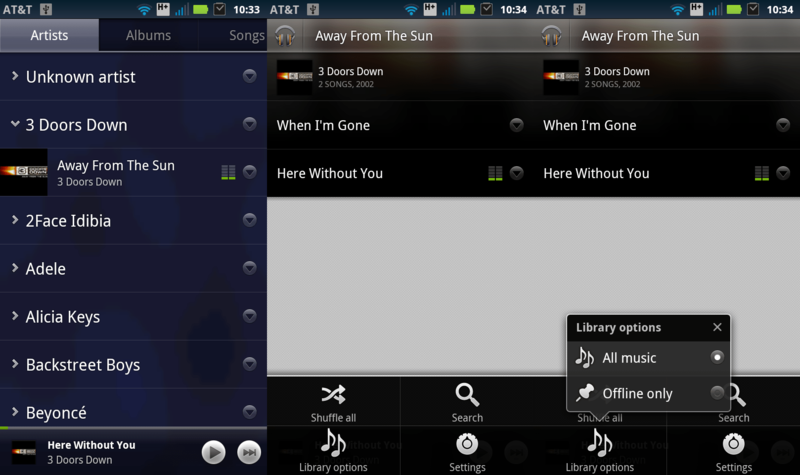 Anyway, here are some screenshots for your viewing to see just how much nicer the Google Music app is compared to the built-in app on the Atrix. 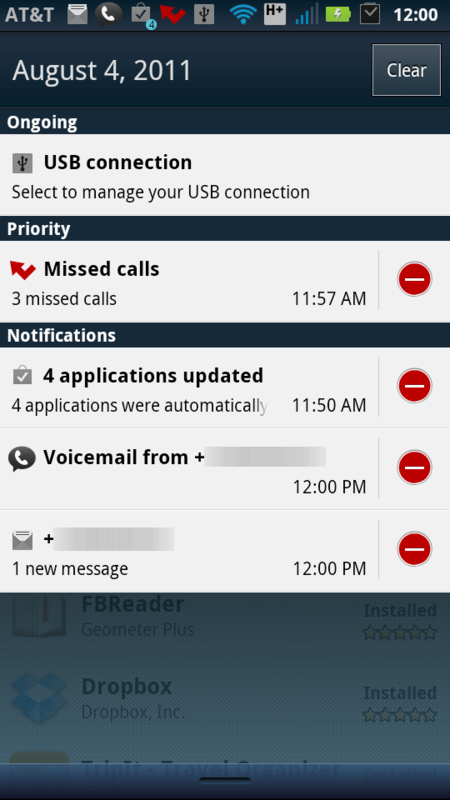 Motorola added a shortcut to all apps installed to the Dock Icons. 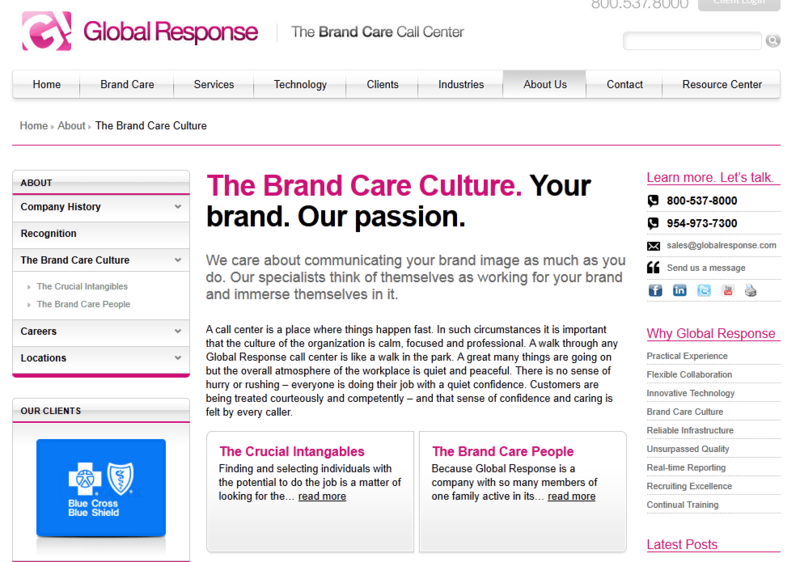 This has been incredible handy and better than the generic looking circle that was inflicted on us. Share: shares the app to apps like Docs, Dropbox, email, etc. 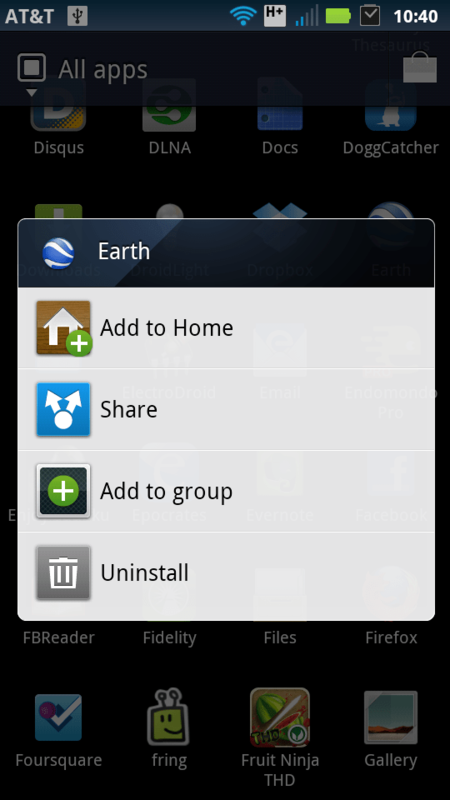 Add to group: add the app to whatever group you’ve created earlier. If you haven’t created any special groups yet, you will be able to create one at this time. 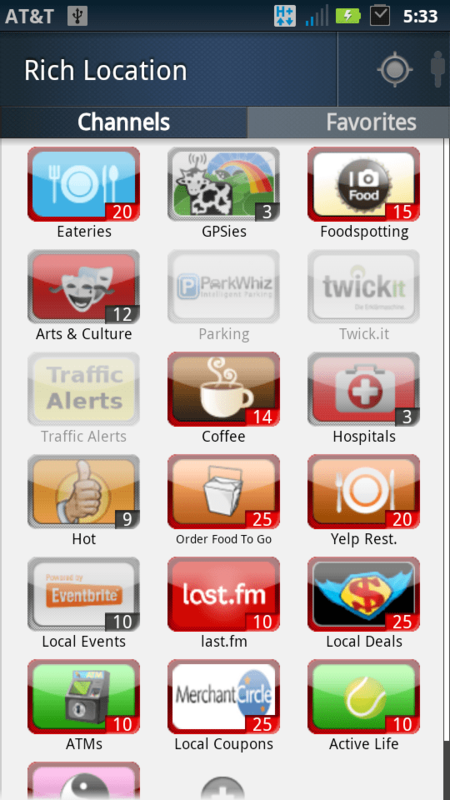 Uninstall: self-explanatory. I like that uninstalling apps has become easier than ever. 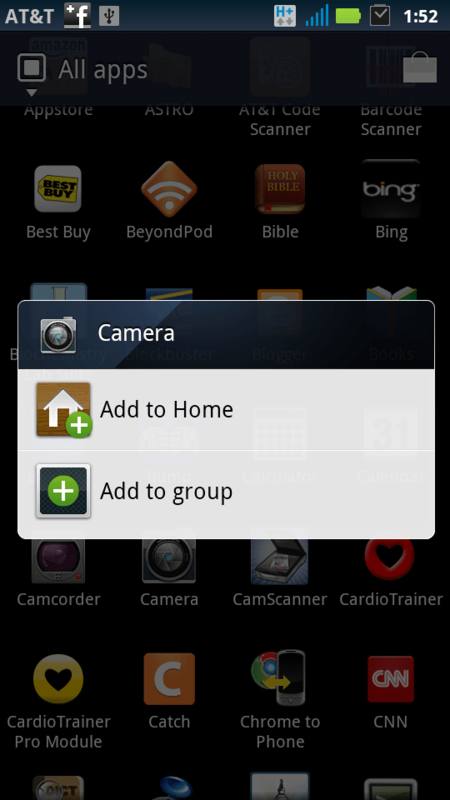 Depending on the app you are attempting to pin, you may only have the options to “Add to Home” or “Add to group”. I’m sure once I’ve spent a month with this change, I’ll grow to appreciate it, but for now, it’s taking me some time to get used to. 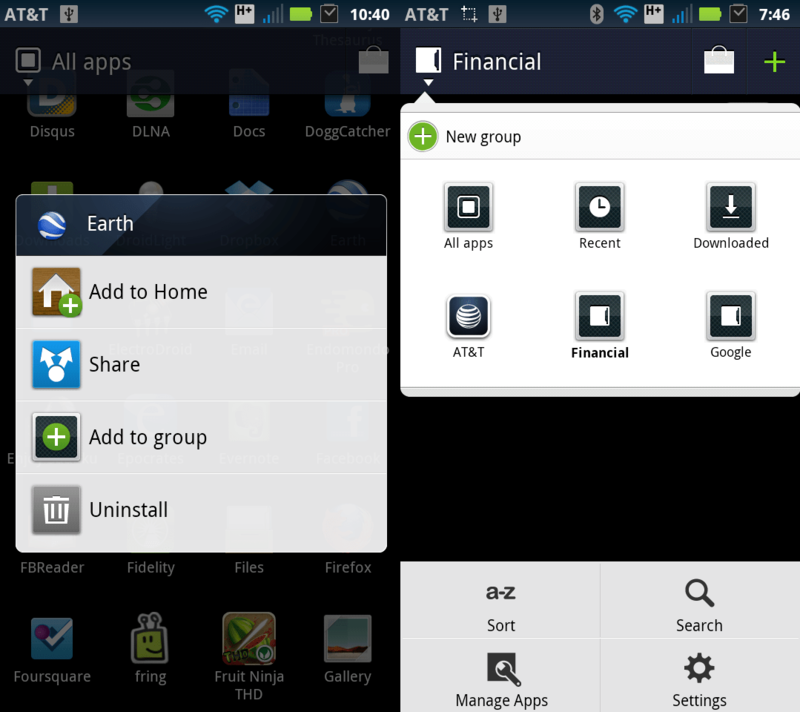 The gallery below has screenshots of the me adding apps to a newly created “App group”. 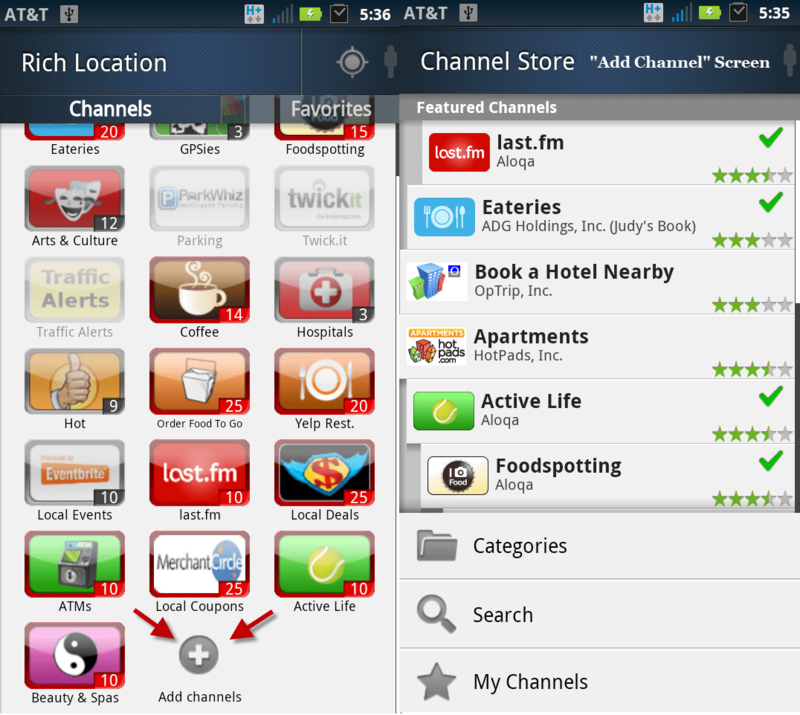 The main location-related change I noticed was the addition of an app called “Rich Location”. The visual changes to Atrix are too many to list. 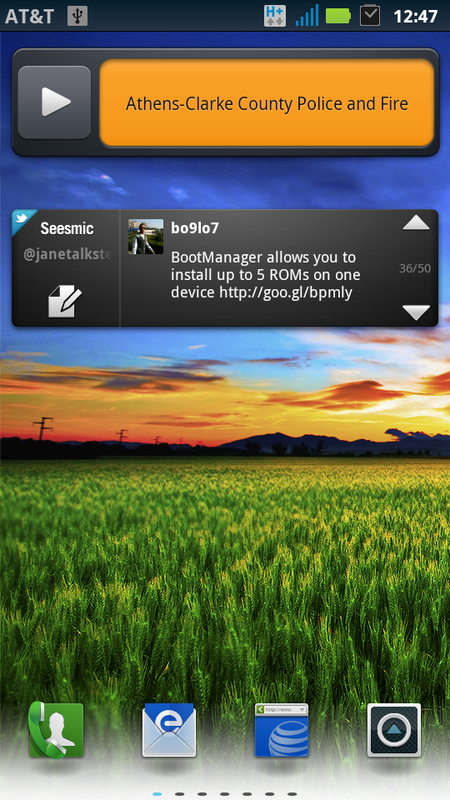 The best way to find out is install the update and enjoy the eye candy! 🙂 The icons for pretty much everything on the Atrix look newer (i.e. new icons), new color scheme which I’m slowly coming to terms with, the camera/camcorder app got digital zoom, picture/video modes & exposure features which is pretty cool, more options for saving contacts, etc. 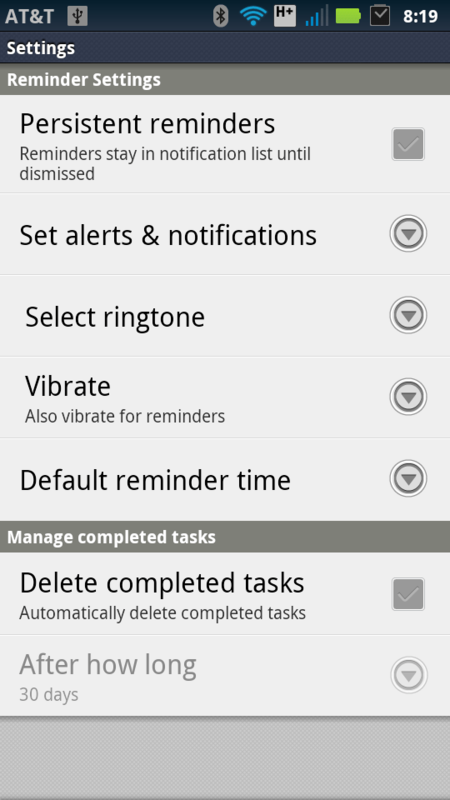 Overall, I’m been pretty impressed with Gingerbread and the stability it brings to the Atrix. 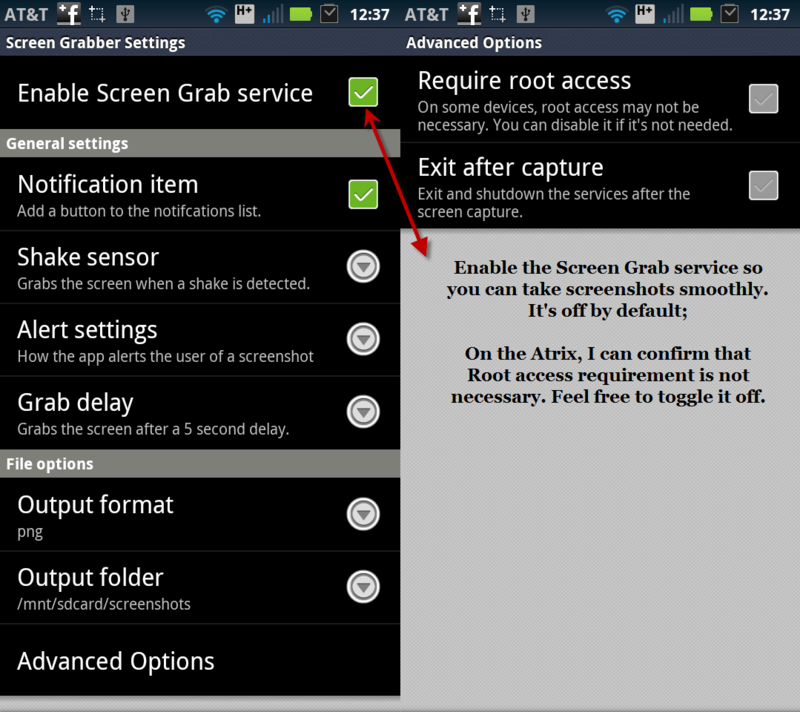 For more screenshots of new features in Gingerbread (on the Atrix), visit my Minus.com gallery which should contain the screenshots in this article and more.